Making a cocktail is easy, but creating a perfect one is hard. It's not just about using quality ingredients and measuring them out. It's about how you mix them. That's why a frozen concoction maker is the best way to make any frozen drink, whether it's a margarita or a mojito. 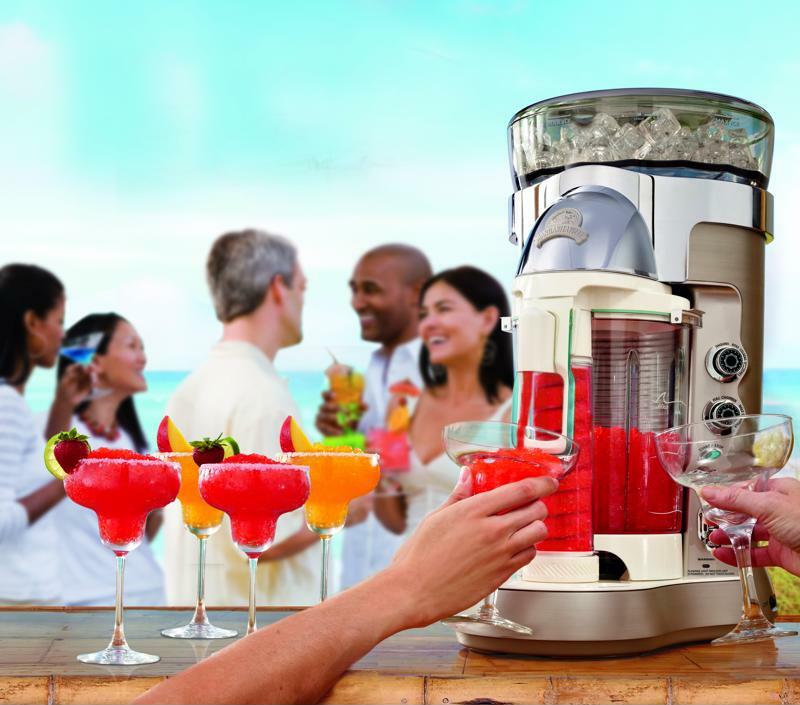 Check out just a few of the reasons why a frozen concoction maker is the best way to blend up your cocktails. A frozen concoction maker is different than other appliances and bar tools because it doesn't crush ice - it shaves it. All you need to do is fill up the ice hopper or reservoir on the top of the margarita machine then hit hit the switch and it will turn those cubes into the perfectly shaved ice. While some restaurants or other machines may give you ice that's too large and chunky or so small it melts immediately, a frozen concoction maker produces perfect granules of ice every time to guarantee a pleasant texture and an ice cold beverage. Frozen concoction makers shave ice perfectly every time. Measuring out the ingredients for a margarita or specialty cocktail can be a hassle. However, frozen concoction makers can make this process a breeze. One tool is the No-Brainer Mixer that provides you with easy measuring for some of the best cocktails. All you need to do is place the mixer on the top of the margarita machine's blender jar, fill the ingredients to the specified line then pour them in. There's no need to worry about ounces, tablespoons or shot glasses. Also, many machines have specialty features for different common cocktails. This lets you get the perfect blend and ratio of ice every time without worry. Do you like playing bartender and creating your own drinks in addition to the classics? Although frozen concoction machines work great for some of the most popular drinks, they also allow you to blend up your own creations. Simply add your mix to the blender jar, fill up the ice reservoir and let the machine do the hard work. Then, just enjoy the results. One of the reasons that frozen concoction makers are so popular is that they're so fun. Whether at a party, tailgate or at home, everyone will enjoy mixing their ingredients with this fun machine and drinking the cocktails at the end.